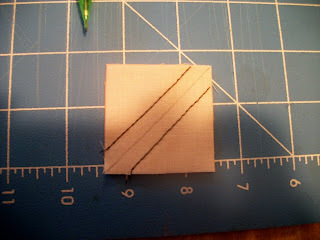 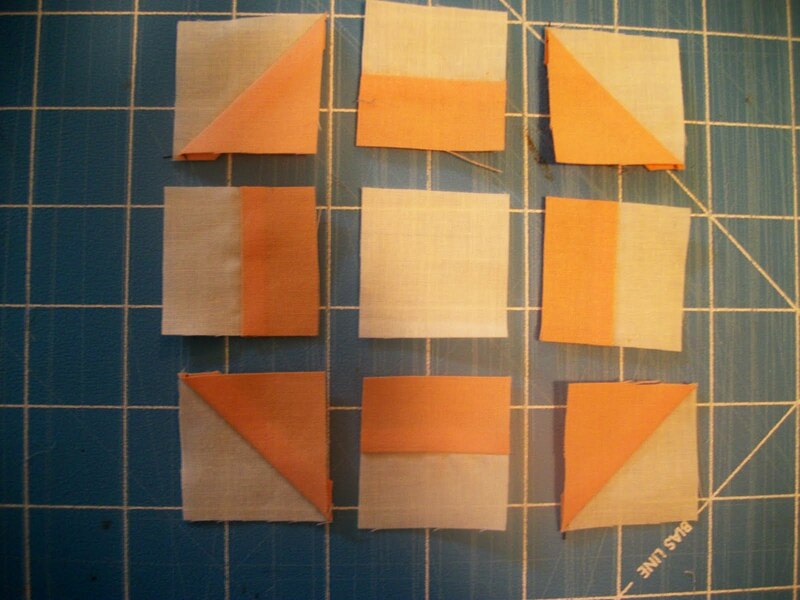 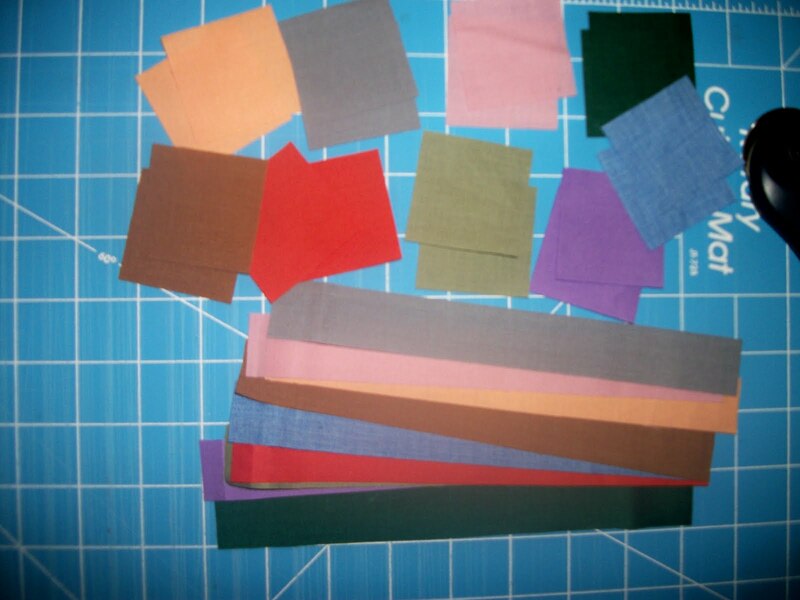 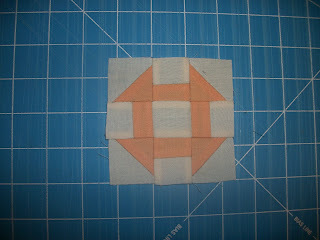 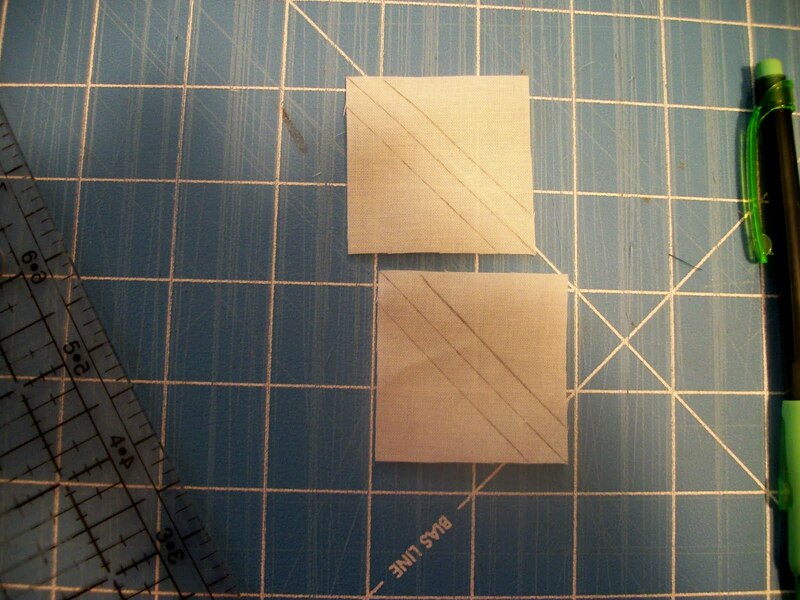 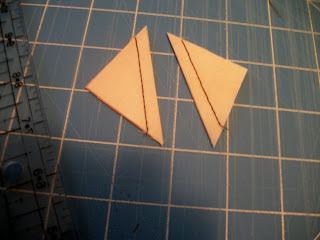 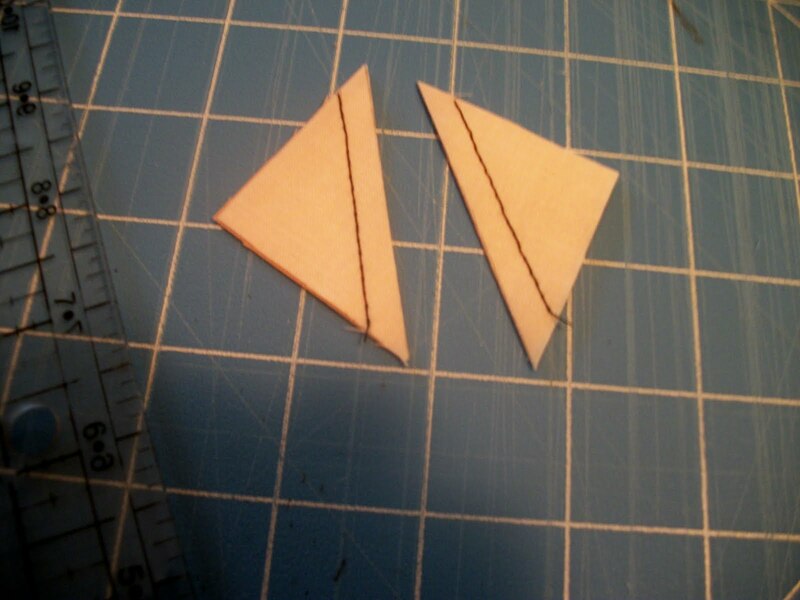 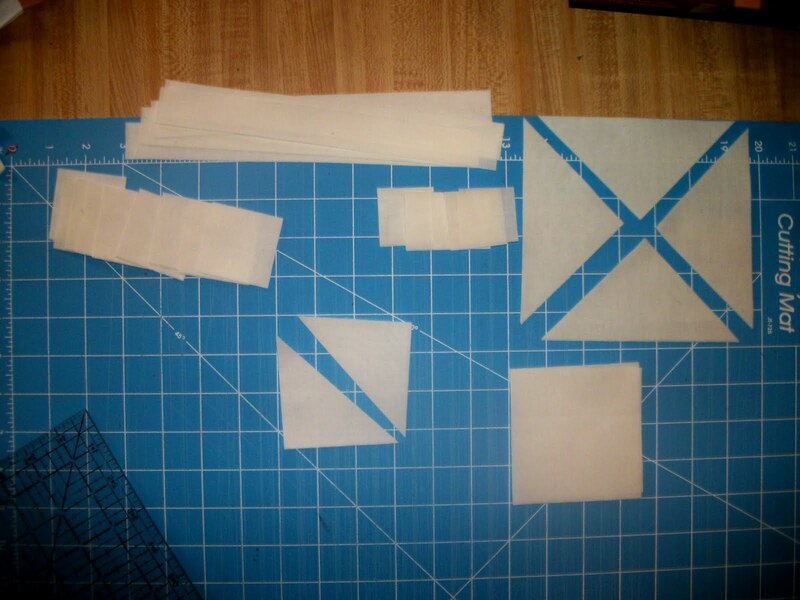 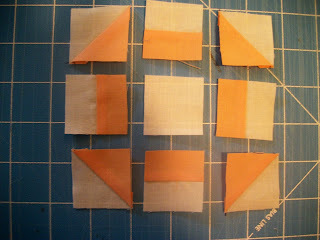 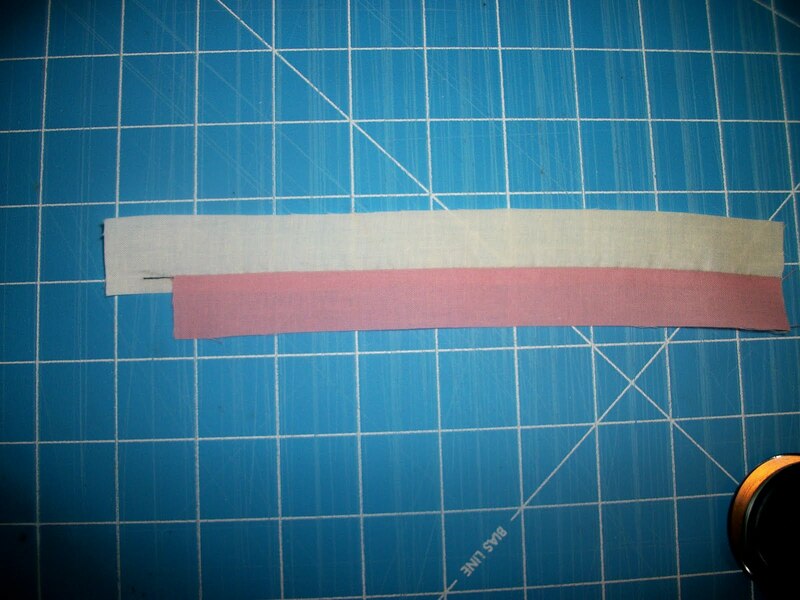 Now take your 1 7/8 light squares and draw a line on the diagonal and 2 lines on either side a 1/4, the middle line will be your cutting line and the other two your sewing lines. It should look like this after being sewed. 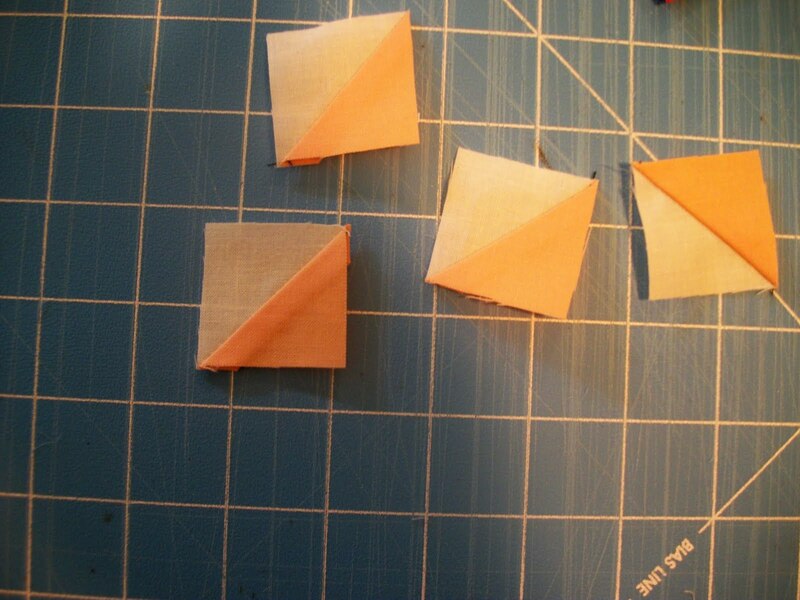 Press open again being very, very careful as these as super easy to distort. 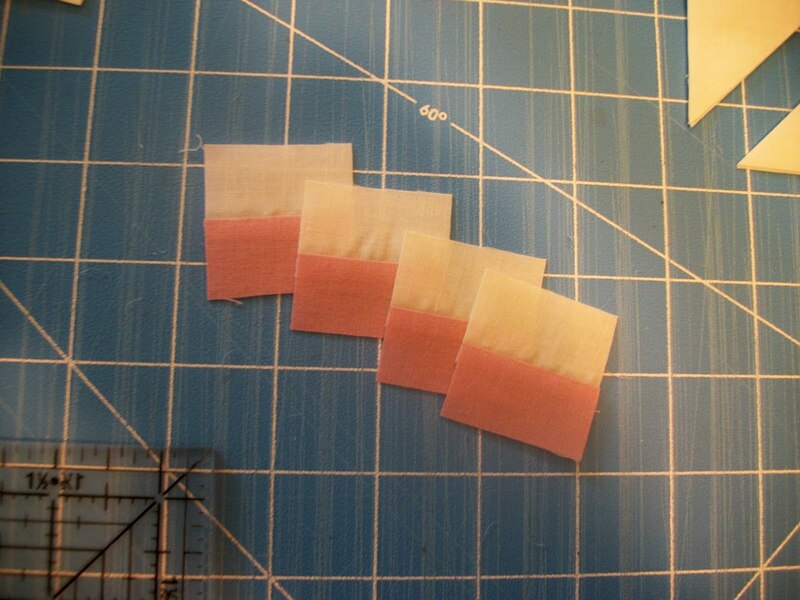 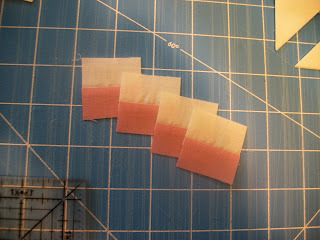 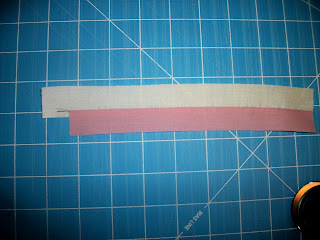 Trim your block down to 3 1/2 inches. 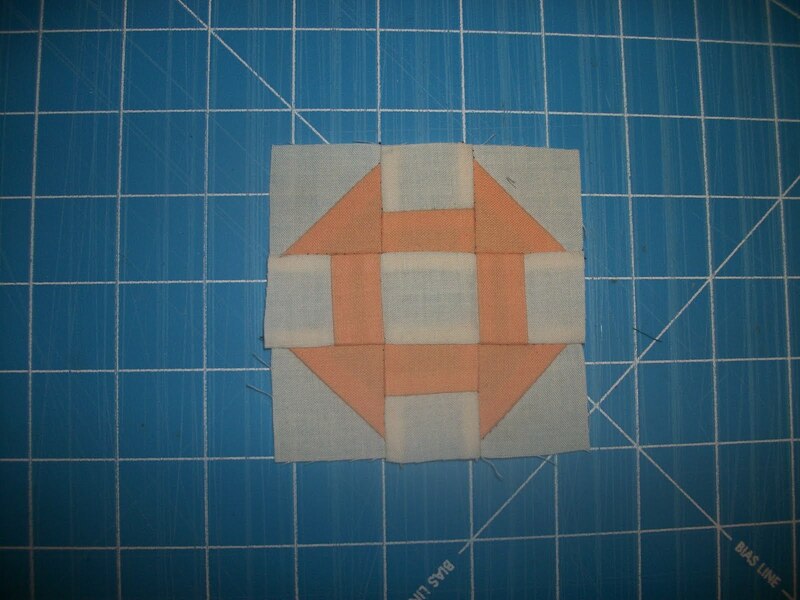 Congrats you have now made a Monkey Wrench block and have put 17 pieces of fabric into a 3 inch square :) I will give you a bit of time to sew all 9 blocks together and then I will be back with setting and border directions.